Patricia Madani, an artist herself, feels that encouragement of local art is important. Manoucher Madani feels the same and encourages children to draw by displaying their art in the bar area. In the smoke free dining room, we have created an illuminated gallery space perfect for displaying art. 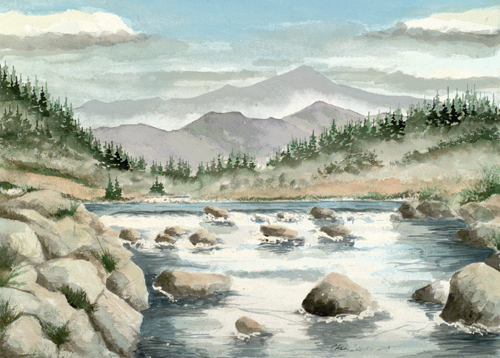 A different local artist’s work is shown every two months with no fee for the artist. If you are interested in displaying your work, contact us at 1-608-742-2325. 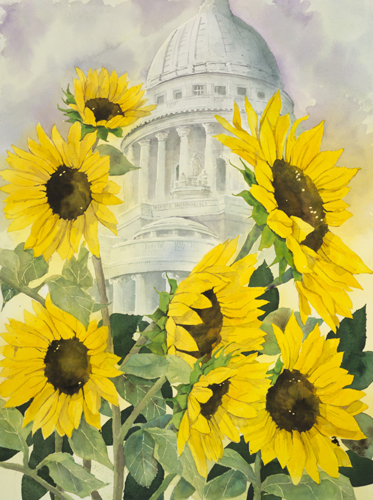 Mary Heinze is the featured artist showing her watercolor paintings at Trails Lounge in Portage from December 29-mid February. 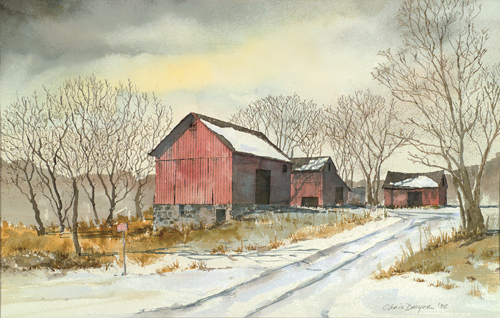 Her 20+ watercolor paintings capture her life on the Heinze family dairy farm as well as portraits of family, friends, and architecture.